Who has ever heard of Powder Mountain? 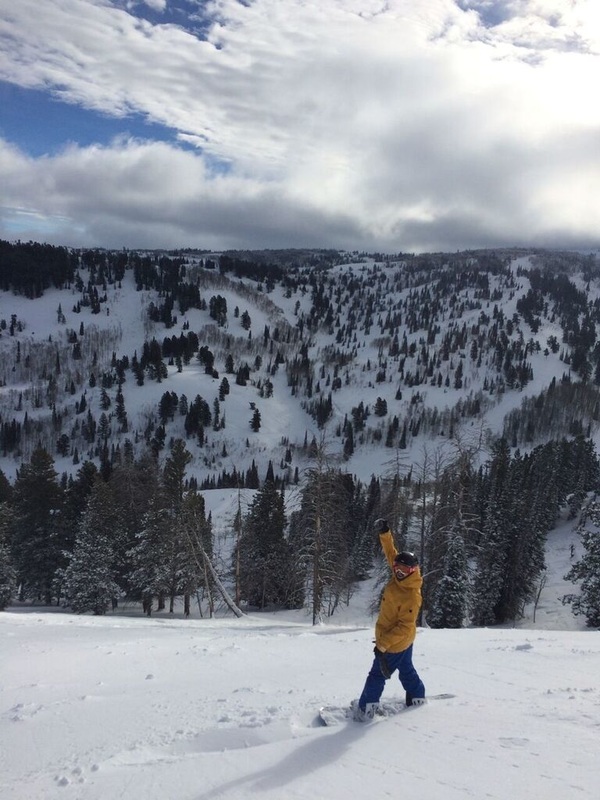 Not I, despite the fact that I’ve been on the look out for the snow for which Utah, including Powder, is rightly famous – at all the better known destinations --Deer Valley, Park City, Snowbird and of course Alta – for many a year. Powder is no further from the Salt Lake City airport than these better-visited locales – 90 minutes or so of mostly flat and highway driving. But it’s clearly off the well-traveled ski path. On the way you pass Snow Basin, and if you have never heard of this destination either, you’re not alone. Our visit to Powder was dictated by nothing more than the fact that one of our ski party of four has a friend who works there. 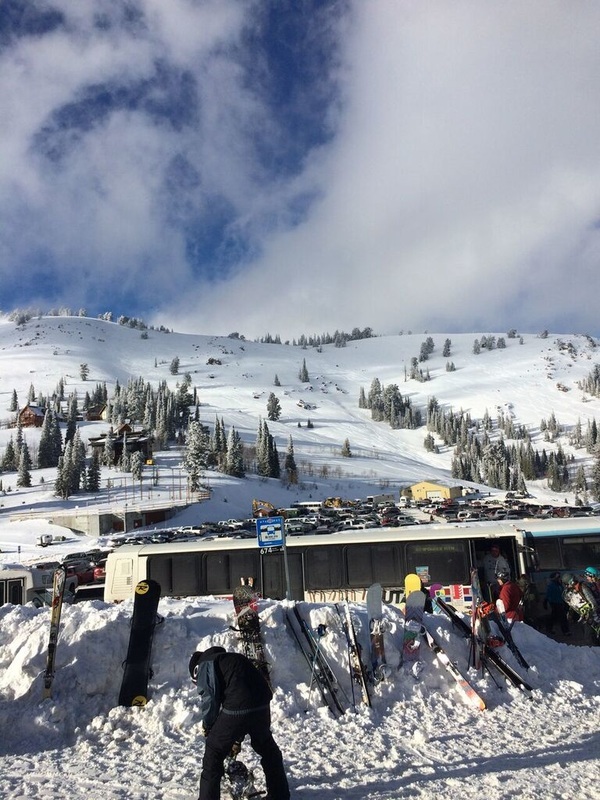 Andrew, together with his college buddies, all now just on the wrong side of thirty – had rendezvoused there before and enjoyed it … so why not take a chance – skip Snowbird – and check it out. 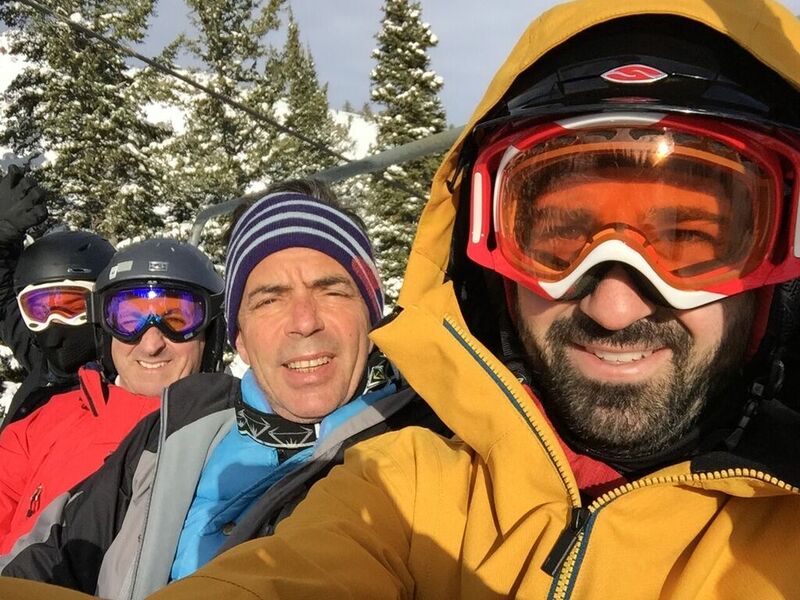 Our 3 days on the slopes were the stuff that powder memories are made from. Plenty of snow, lots of it untracked on the meadows and glades that comprise most of the mountain. Exhausting and exhilarating. So what’s the problem? The place, so close to Salt Lake, is nonetheless in the middle of nowhere. The last 5-mile drive to the mountain is steep and can be perilous. We had rented a Toyota 4Runner, which we often kept in 4 wheel low on the drive up and down. Our condo was a short walk to the Sundown chair. Nonetheless we chose to drive to the better-located lifts at Timberline or Hidden Lake. Our digs were adequate. Nothing at all fancy, like everything else here utilitarian and a bit shopworn. But being on the mountain spared us the well-traveled ride down the mountain to Eden where most of the accommodations are located. There are hardly amenities of any sort at the mountain or even in Eden, the closest “town,” where the road flattens out. The après ski mountain facilities – restaurants (none), lodges, commercial are primitive at best. There is a tiny, funky après-ski (a misnomer that would make mountain patrons wince) bar at the mountain, and others in Eden. But Utah’s liquor laws remain opaque to the occasional visitor, making the quest for some weak 3.2 beer hardly worth the drive. The mountain set-up itself takes some adjustment. You can drive to the summit and park in the large parking lot there for example. The lift system is under-capitalized. There is only one high-speed quad. .. one of three chairlifts we favored during our three days on the mountain. I christened the Paradise quad “the twenty minute chair” -- and I’m not referring to the time spent waiting in a liftline. Now for the upside. Absolutely none of the drawbacks just noted matter. Not one whit. The place is close to heaven on earth for skiers who want to…. just ski. When full of powder – and what else happens at Powder Mountain –the place is glorious. Lots of terrain – masses of untracked glades and snowfields -- of moderate steepness, the kind that enables you to look better than you are. There are no lift lines, no moguls, and no one to get in the way. The mountain self-selects. People come here to ski, because that’s all there is. This results in fewer people on the slopes and those who are here know the ropes and the rules. ​It is possible to find untracked snow all over the mountain, not just in the afternoon but the next day as well. More than that. It’s not only possible, it’s the rule. No need to bundle out for the first ride of the day after the chair opens, although there’s no good reason to linger. The trail signage is notoriously bad, but it doesn’t matter. Just find a line down the mountain and follow it. There are defined, groomed trails for beginners and intermediates, but I never read a sign during my stay. I hardly remember even seeing one. I did not need to. All the terrain –glades and meadows included -- dumps into tracks leading to one of the lifts. I was never able to lose myself on the mountain no matter where I skied. And during three days our party, which included my 21 year old son, a first cousin and his thirty-something son, skied everywhere—from the often-tight glades of Powder Country to the meadows of the much-frequented Paradise chair. Powder also offers what can be a glorious expanse of untracked terrain off of Lightening Ridge, accessible from a 20-person snow cat. The all-but-total absence of off-mountain diversions and the snow bounty provided by Mother Nature make Powder a desirable destination for good skiers looking to … ski. If you are looking for a crackling fire in the lodge or a comfy place to read a book while friends are banging the boards, Powder ain’t the place. I suppose there is snow shoeing, but the mountain infrastructure, located on a slow rising mountainside, means that there’s no flat terrain anywhere. Here’s the test of any ski vacation. Would I visit Powder again? Without doubt, yes. In a New York minute. -55 miles north of Salt Lake International Airport. Take I-15 north to Ogden’s 12th Street, turn east and follow the signs through Ogden Canyon. Take I-80 east to I-84 junction, then west on I-84 to exit 96 and follow the signs.